If you've been eagerly awaiting Series 3 of 800 Words, you're in luck. The first 8 episodes of Series 3 are now live and streaming on Acorn TV. The DVD is also available here in a non-US format if you prefer to watch that way. Keep in mind, you'll need a region-free DVD player to watch these types of non-US DVDs (though it's a great investment if you buy many UK DVDs, since you can often get them for less at Amazon UK). What's 800 Words All About? If you're a bit late to the party, 800 Words is the story of a father who relocates himself and his two teenagers to New Zealand from Australia after the death of his wife. Arlo, his son, and Shay, his daughter, are not exactly thrilled about being uprooted from their lives in Sydney and dumped in a tiny village where nobody seems to like them. Worse yet, nothing seems to be working out, and their house seems like it should be condemned. The show's title, 800 Words, comes from the fact that main character George is a newspaper columnist who always writes precisely 800 words. Like some other Australian shows, 800 Words tends to have more episodes per season than the average British show. Series 1 had 8, Series 2 had 16, and Series 3 has 8 so far. Given that it's called Series 3, Part 1, it seems reasonable to hope there will be more coming this season. Though 800 Words is a drama, it's definitely a light one. Unlike popular Australian drama Rake, nothing too incredibly terrible ever happens in the world of 800 Words. Even things that should seem pretty awful get resolved quickly and with minimal lasting damage. British TV fans may also notice that as with a number of other Australian shows, the actors look a bit more like American actors. In other words, the characters in 800 Words live in one of those funny little worlds where everyone is more attractive than average. There's nothing wrong with that, of course, but I know many of us love the more realistic mix you tend to get with British shows. What's Happening in Series 3 of 800 Words? Series 2 ended with a hint of tragedy, but series 3 opens with a large-scale search and rescue mission, along with some possible decisions about fatherhood. Early episodes also show Shay in a bit of turmoil, particularly after the rescue mission. This season has engagements, weddings, and plenty of romantic drama. There have been some reports that Australia's Channel Seven isn't planning to renew 800 Words for Series 4, but South Pacific Pictures denies that the show has been cancelled. Overall, I'd say enjoy Series 3 and hope for the best. It sounds like the future is definitely uncertain at this point. What Else is New in June? If you haven't already, check out our list of British TV premieres for June 2018. 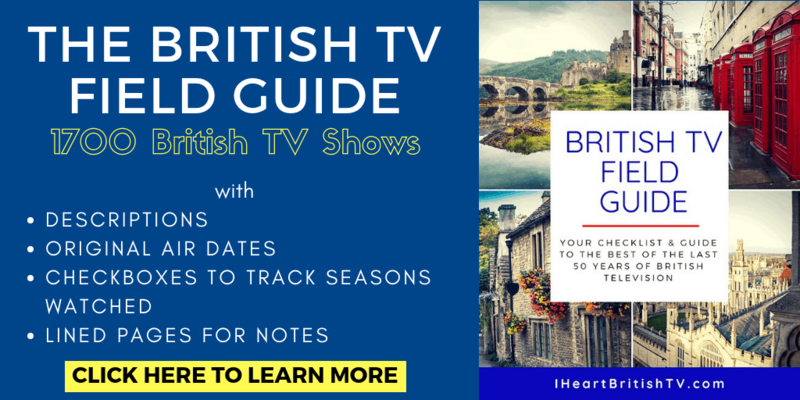 Aside from the Series 3 premiere of 800 Words, you'll also find the final seasons of Dalziel and Pascoe, the first seasons of Last of the Summer Wine, and the new JK Rowling C.B. Strike series. I watched all 8 episodes of Series 3 of 800 Words and I think it’s absolutely the best season yet. I really enjoyed it and hope Part 2 will be here shortly.